Get deleted photos back from an available backup in two different ways? How to get deleted photos back from an available backup? How to retrieve deleted photos from an available backup? Find solution here to restore deleted photos back from an accessible backup. I deleted some photos about a month ago and I did not back my phone up at the time. Is there any way to recover them successfully? I’d greatly appreciate if anyone could help me on this. 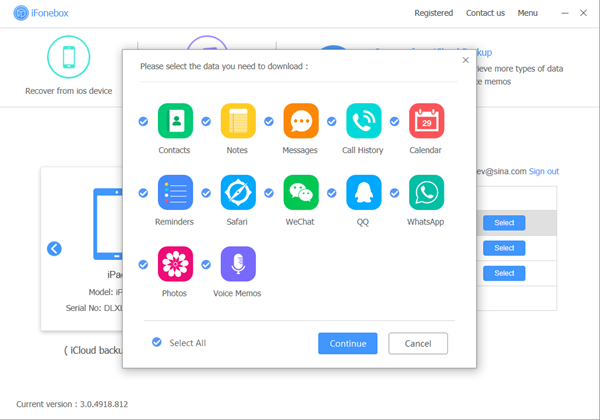 Unfortunately, it is impracticable to recover deleted photos without backup, that’s why we are all advised to create backups of all the data on our devices, especially for media data. 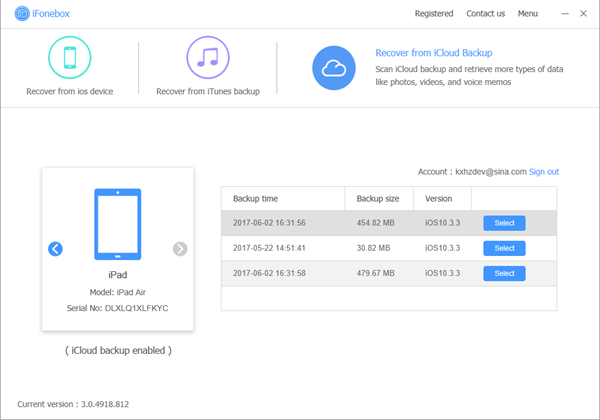 However, Even if you have an iTunes or iCloud backup, you have to restore the device to this backup, which could lead to loss of new data on your device. Then, how to get deleted photos back selectively from an available backup? I think iFonebox is definitely can help. 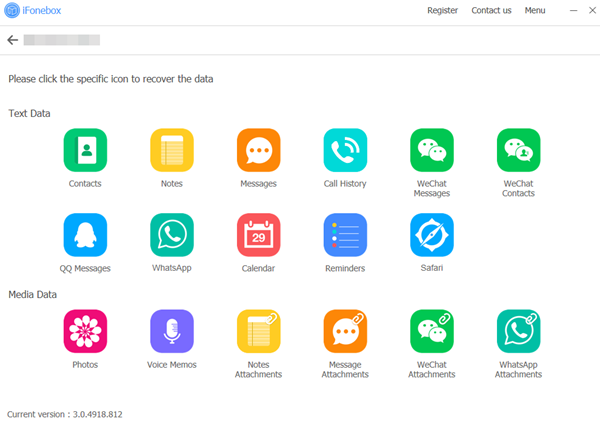 As a professional iOS data recovery software, iFonebox is able to recover as many sixteen kinds of data loss without erasing contents or settings. This is because iFonebox is excellent in detecting right through the device and backup, then extract disappeared data safely. 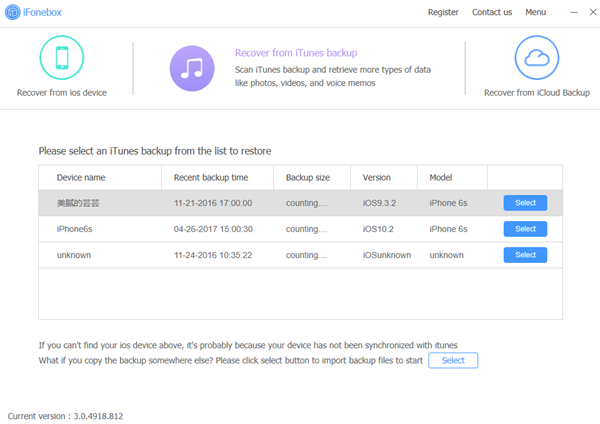 As we all know, Apple doesn't provide any service for backup preview, except for restoring the whole backup to your iOS device. With iFonebox, there’s no need to worry about this. In addition to retrieve deleted photos from an available backup, you’ll be also allowed to preview specific data on your backup before recovering them separately. Next, I’m going to introduce two methods for you how to restore deleted photos back from an accessible backup. Before we start, please install the right version for your computer. Method One: Recover deleted photos from iTunes backup. Step 1: Launch Program. Click Recover from iTunes Backup File, you’ll see all backups you have listed in the interface, choose the most relevant with your lost photos, then click "Select" button to begin. Step 2: Scan Photos. It will scan automatically after you click the Photos icon, it might take your some time because the capacity of photos usually can’t be ignored, and the duration depends on the amount of your data. Step 3: Recover Photos. 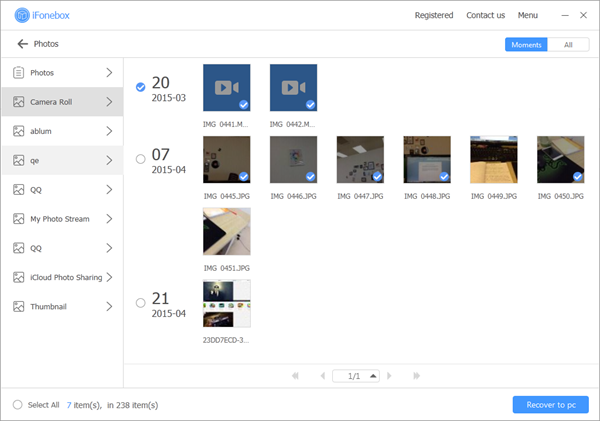 Now it’s time to recover photos you desired from backup, choose the photos you want to restore and click the Recover to PC button in the bottom right corner of the interface. 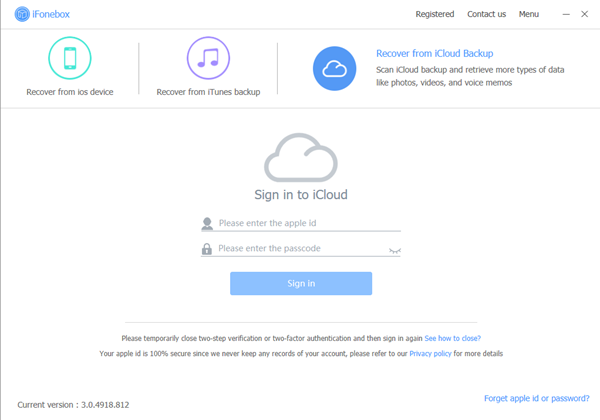 Method Two: Recover deleted photos from iCloud backup.